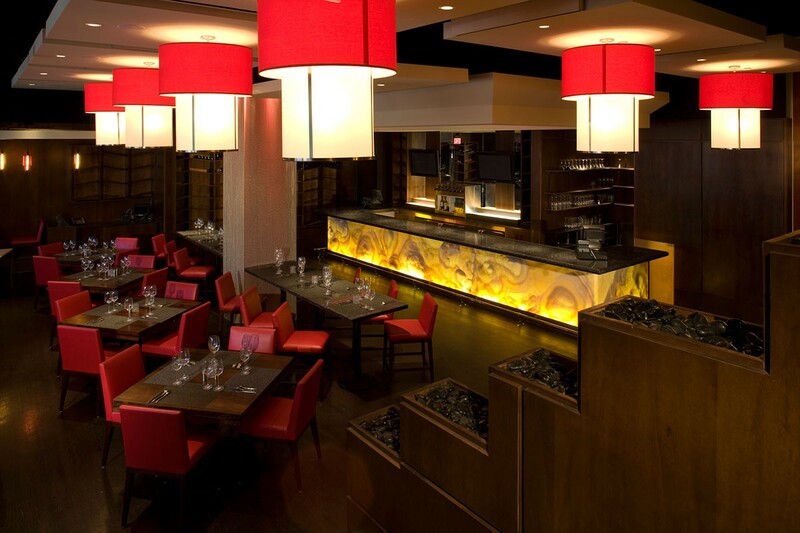 VIN is an upscale restaurant located in Bayou Place in downtown Houston. 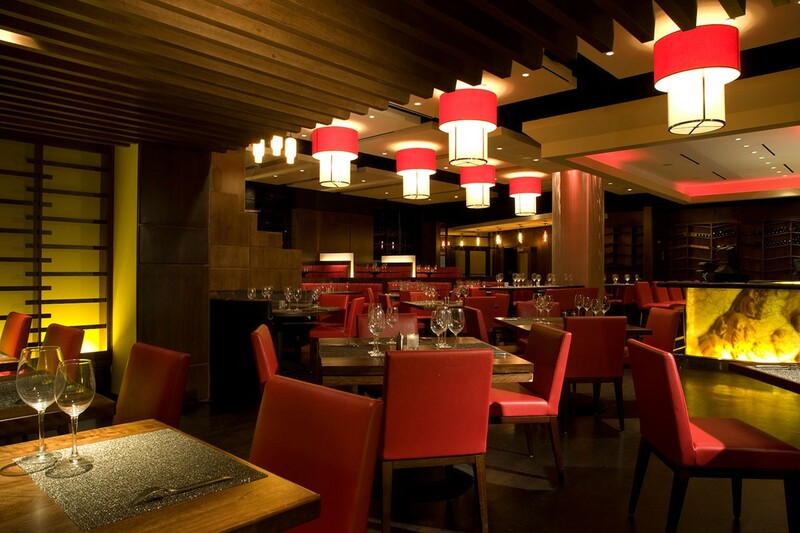 The interior design has three unique seating areas. 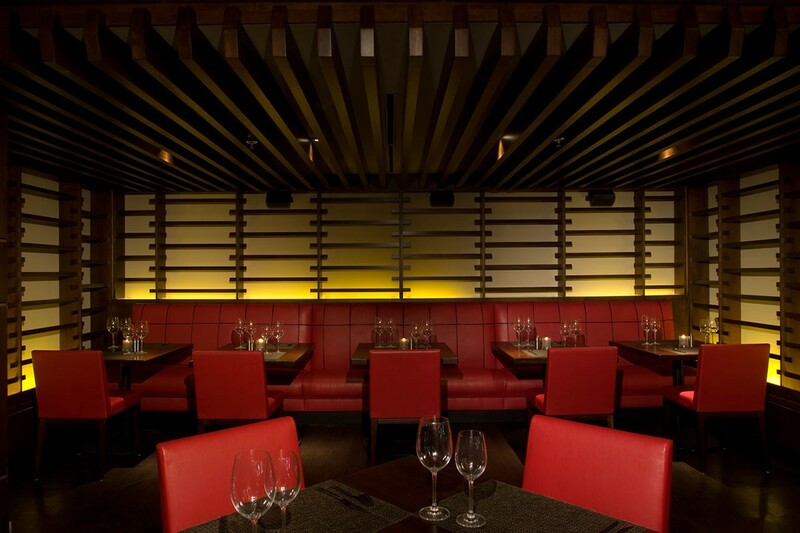 The first is a banquet area with woven wooden walls. This space also has a wall-mounted flat screen for presentations or a video feed. The second space is just off the main dining area. It has wooden slats that line the ceiling and the walls in a decorative pattern. The walls are lit from the base through frosted glass. 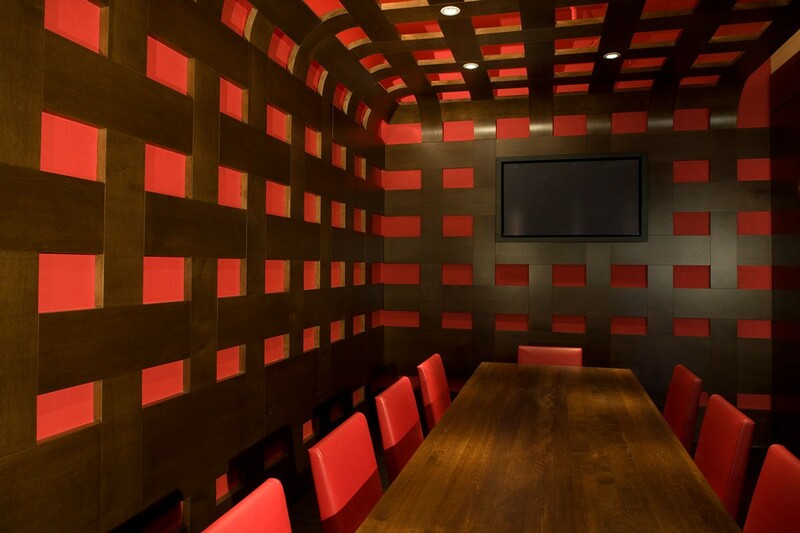 This space is finished off with red leather bench seating and leather chairs. The third area is the open dining room. 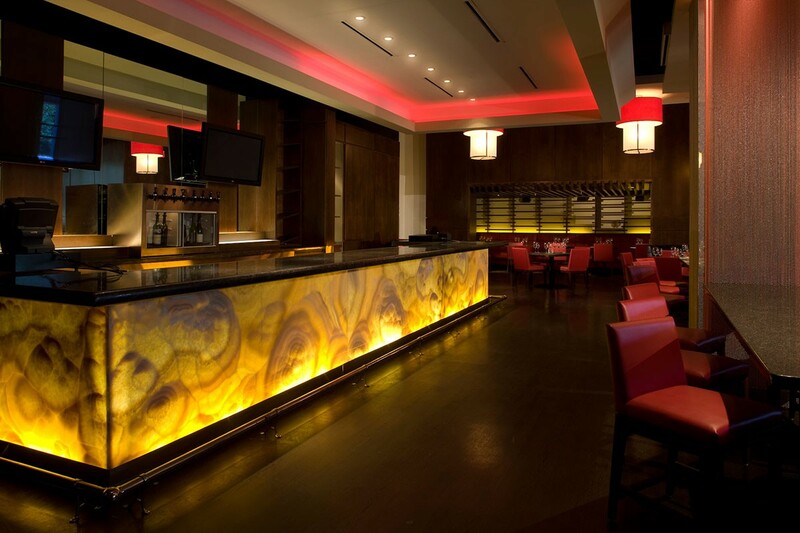 This area is highlighted by the Onyx bar, back lit to show the design in the stone. The booth area along the front glass is divided by lighted panels. The bathrooms feature the same Onyx stone lit from beneath and red glass sinks. The floor finish is a stained concrete and richly stained wood adorns the walls. 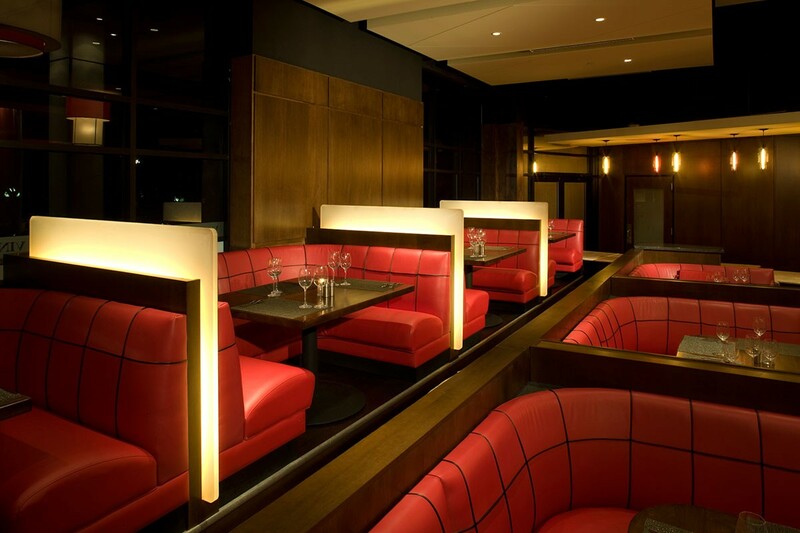 The light fixtures and the floating panel with the red cove lighting were custom designed for this property. The facility also includes a custom designed kitchen.